Caring for seriously ill children can present special challenges for chaplains. This session will explore the unique aspects of spiritual care for children facing serious illness, as well as suggested interventions to support patients and their families. This session will also discuss the impact of this sacred work on chaplains and other health care professionals. 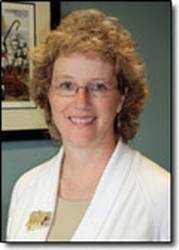 Elizabeth A. Keene MA FT ACC is the vice president of Mission Integration at St. Mary's Health System in Lewiston, ME. She is an associate certified chaplain with the Board of Chaplaincy Certification Inc., and a fellow in thanatology: death, dying and bereavement, with the Association for Death Education and Counseling. In 2003, she received the Shirley Alford Award for Compassionate Care from Johns Hopkins Children's Center. Her papers on pediatric palliative care and bereavement have been published in the Journal of Palliative Medicine, Pediatric Nursing, Archives of Pediatric and Adolescent Medicine and other journals.